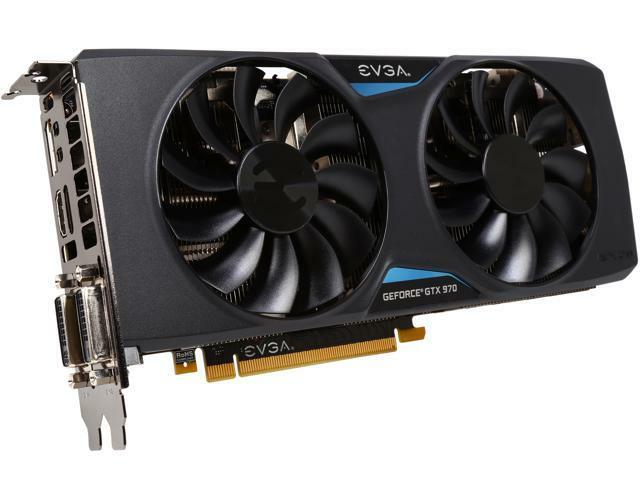 Powered by next-generation NVIDIA Maxwell architecture, the EVGA GeForce GTX 980/970 delivers incredible performance, unmatched power efficiency, and cutting-edge features like NVIDIA Super Resolution Technology. With up to twice the performance of prior-generation cards and breakthrough graphics technologies, the EVGA GeForce GTX 980/970 provides an elite gaming experience on virtual reality, HD, and ultra-resolution 4K displays. - Don't forget EVGA's Around the Clock Tech Support! Pros: great gpu runs amazing, doesn't slow down at all. Cons: gets hot when maxed out but other than that love it. Other Thoughts: i would definitely recommend it in a heart beat. -Never had any issues till it died. I do apologize for the troubles you are having with your EVGA GTX 970 graphics card. It is unfortunately the 3 year warranty had expired, should anyone have any issues or concerns with any EVGA products, please do not hesitate to contact our 24 hour Technical Support team by phone 1.888.881.3842 and pressing option 1 or by email: Newegg@EVGA.com so that we can further assist you. Pros: Ran most games at medium or better graphics settings. Cons: Device failed just outside of warranty & EVGA would not cover it, even with it being just 3 months out of warranty. Other Thoughts: As long as you don't mind replacing your graphics card every 3 years then it should be fine. I do apologize for the troubles you are having with your EVGA GTX graphics card. Should anyone have any issues or concerns with any EVGA products, please do not hesitate to contact our 24 hour Technical Support team by phone 1.888.881.3842 and pressing option 1 or by email: Newegg@EVGA.com so that we can further assist you. Pros: It worked amazingly since I've gotten it back in 2015. More or less powered through just about every single game I've thrown at it with little to no issues. Also EVGA is pretty amazing, so couldn't go wrong with this product. Cons: It literally caught on fire last night during a game of The Division. Wasn't overclocked or anything, used stock settings. Guess it was just its time to give up the ghost. I do apologize for the troubles you are having with your EVGA GTX 970 graphics card. I can assure you that we are here to assist and support you as best we can. If you haven't already done so, then I would encourage you to contact our 24 hour Technical Support team by phone 1.888.881.3842 and pressing option 1 or by email: Newegg@EVGA.com so that we can assist you with warranty services if needed. Pros: Purchased 4/9/2015 Still going good. I've been able to play any game I've tried on Ultra, though I find keeping it on high to be plenty good enough. Excellent card but I'm really wanting a newer one now that 1060's are out. But with the CPU I'm using I think Id just get bottle necked if I went any higher. Other Thoughts: This is my 4th EVGA Card now. After the first 2 I purchased I have never has any issues so I've been sticking with EVGA for my GPU needs. I have a collection going and they all still work perfect even though 2 out of 4 are shelf trophies now. EVGA 8800GT (Shelf Trophy) Still works. EVGA 550Ti Boost (Shelf Trophy) Still works. Pros: This card runs most any games out right now. Cons: Price is kind of high. Other Thoughts: Would buy another to SLI. Pros: Pretty good card for the price at the time of purchase. Cons: The HDMI port on this card died 1 year and 2 months after I received it. I was playing a sim racing game, screen went black and I had a burning smell coming from my computer case . After unplugging the case and doing my own troubleshooting, I found that the HDMI port went out. Pretty upset that this thing only lasted a year before bricking. Other Thoughts: I will be contacting the manufacturer tomorrow to see what my options are. Hopefully they will replace the card without much of an issue. If not the 1080 EVGA card I just got a few days ago will be getting returned and I'll go with another brand. Previous to this issue I would have given this card 4 eggs. I am sorry to hear about the troubles you are having with your EVGA GTX 970 graphics card. I can assure you that we are here to assist and support you as best we can. If you haven't already done so, then I would encourage you to contact our 24 hour Technical Support team by phone 1.888.881.3842 and pressing option 1 or by email: Newegg@EVGA.com so that we can assist you with warranty services.